Small cell lung cancer symptoms can be similar to symptoms of other forms of lung cancer, but can also be different in several ways. Usually, unlike non-small cell lung cancers, symptoms are present for only a short while before a diagnosis is made. Small cell lung cancer can also result in symptoms referred to as superior vena cava syndrome (SVC syndrome). When a tumor is present in the mediastinum, it can press on the superior vena cava (the large blood vessel in the chest that returns blood to the heart), causing symptoms such as swelling of the face, neck, and upper chest. SVC syndrome is more common with small cell lung cancers than with some other forms of lung cancer and may be the first symptom of the disease. Small cell lung cancers can also cause general symptoms of cancer, such as fatigue, loss of appetite, and unexplained weight loss. The syndrome of cancer cachexia, consisting of unintentional weight loss along with muscle wasting, is also far too common and can reduce the quality of life as well as survival. 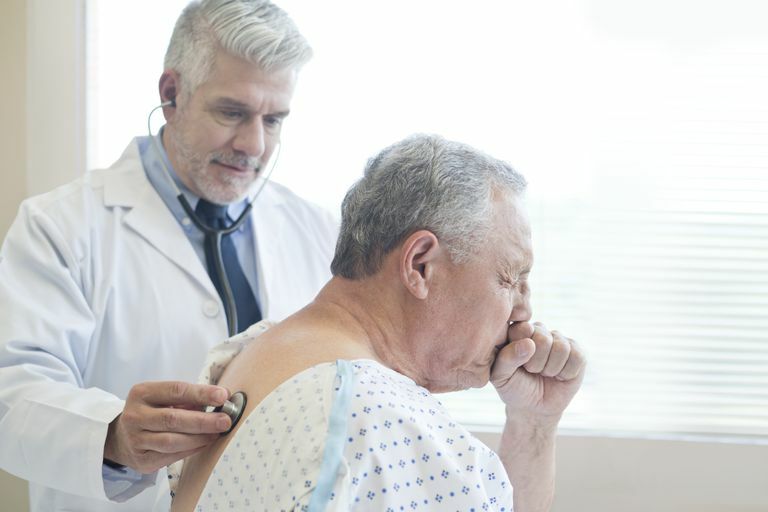 The symptoms of small cell lung cancer differ from non-small cell lung cancer in that people rarely look back and realize that they have had symptoms for a long time. The diagnosis of small cell is often made shortly after symptoms arise. And also unlike non-small cell lung cancer, the first symptoms may be neurological, such as headaches, seizures, or weakness related to brain metastases. Paraneoplastic symptoms are also more common with small cell lung cancer (though they may occur with the type of non-small cell lung cancer known as squamous cell carcinoma). These symptoms can vary tremendously and don't necessarily point at the lungs as the source of the problem. American Society of Clinical Oncology. Lung Cancer—Small Cell: Symptoms and Signs. Updated 10/16.